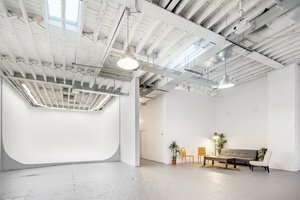 This spacious studio located near Morgan Avenue is perfect for photo shoots, creative events and collaborative projects. 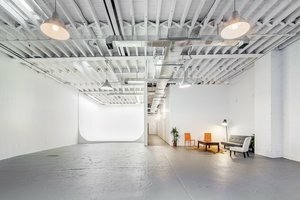 This studio is a unique and dynamic space with a U-shaped cyclorama and industrial interiors. 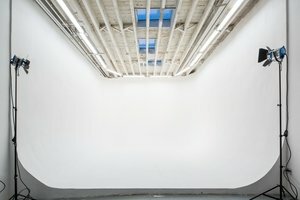 With a rolling door entrance, open plan and high ceiling, the space is highly adaptable in terms of the creative projects it can accommodate. 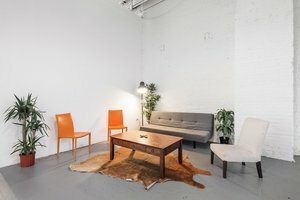 There is a mix of contemporary and utilitarian furniture, as well as facilities such as sound and video equipment and a hair and makeup area. 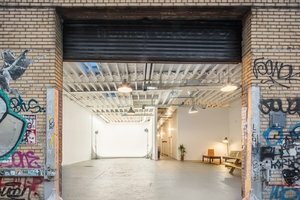 Just 15 minutes from Manhattan and steps from the Subway, this venue is easily accessible and they love to host creative, unusual and innovative events.